Members compile point totals for year-in scoring. Twenty-five points are awarded for each tournament and each meeting attended. Additional points are awarded for one point for each ounce of legal sized fish caught in the club monthly competitive tournament. 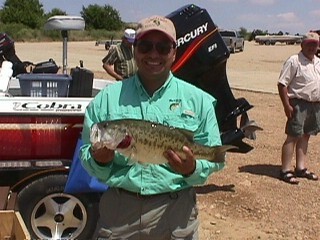 Only three fish may be weighed for the monthly tournament competition. For the first four tournaments of the year, the club has had eleven different place winners in the competition. Way to go group! Click here to view monthly competitive standings.